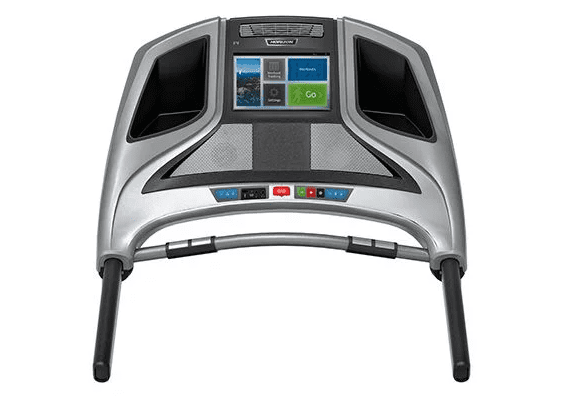 The Horizon Elite T9 Treadmill is On Sale! The Horizon Elite T9-02 treadmill is a slick machine includes several interactive features designed to motivate you towards your fitness goals. An upgrade from the Elite T9, this is an extremely durable treadmill for those that are still keeping their budget in mind. The Horizon Elite T9-02 is built to a runner’s specifications. It incorporates features that can handle the abuse that comes with constantly running on a treadmill. 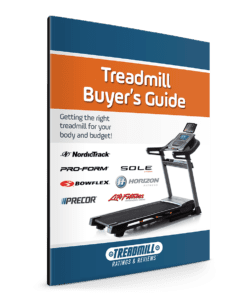 You’ll find that many budget brands suggest their treadmills are running compatible, but they typically lack the components that can withstand the constant impact of runners. This is the same company that delivers Vision and Matrix Fitness products. 3.25 CHP Johnson Drive System Motor – The motors in Horizon treadmills are specifically built for Horizon machines by their parent company, Johnson Fitness. The motors tend to have larger magnets allowing them to run efficiently at lower RPMs. This results in the motor running cooler and quieter with a longer lifespan of operation. The overall drive system is calibrated to track your movements and adjust the speed accordingly, which reduces stress to your joints. Variable Response Cushioning – Although the name sounds fancy, it is basically the same kind of shock absorption you find on most treadmills. The Horizon Elite T9-02 uses rubber grommets known as elastomers. The deck is designed to absorb the shock as your foot lands at the front of the deck. The rear of the deck is stiffer, providing a solid lift-off. 22” x 60” Running Surface – The 60” lengthy is standard at this price, and the 22” wide surface is a great upgrade for taller individuals. The extra will really help keep you from feeling crowded while running. Maintenance–Free Infinity Belt – The underside of the belt on the Elite T9-02 is impregnated with synthetic hard wax, which eliminates the need to lubricate…ever. Regular maintenance and lubrication of a treadbelt can be a pain. This belt was tested up to 21,000 miles before the designers were satisfied it would last indefinitely. 8.5” Blue Backlit LCD – Instead of the 10″ color touchscreen on the original, the Elite T9-02 only has an 8.5″ blue backlit LCD. It also does not have the integrated virtual active programming. We were a bit disappointed to see this particular downgrade. The display provides feedback for time, distance, incline, speed, pace, calories burned, and heart rate. The addition of the Workout Tracking Calendar allows you to see a record of your past performances. 275 lbs. Product Weight – The combination of the heavy weight and the extra sturdy frame guarantees that the Horizon Elite T9-02 will provide a solid feel even under the most intense workouts. 15% Incline and 12 mph Speed Settings – This should be plenty of incline and speed to give you a solid workout. Heart Rate Monitoring – This machine comes with a Polar Wireless Receiver to monitor your heart rate. This is a nice $50 value that provides more accurate heart rate monitoring than the standard hand grips. Additional features include speakers, fan, bottle holder and reading rack. 40 Installed Programs – You get a generous 40 installed programs that include: Manual, 9 Calorie, 13 Distance, 4 Interval, 3 Performance, 10 Step, 2 Virtual Active, and 2 Custom. Changing your workout helps to overcome fitness equipment monotony. It also can increase your performance and calorie burn. ViaFit – This interactive feature distinguishes Horizon treadmills from the competition. 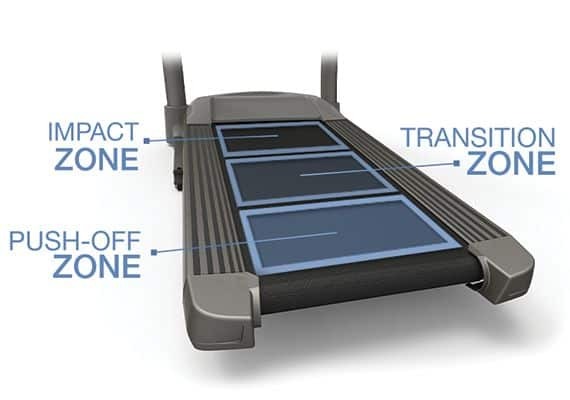 The Horizon Elite T9 treadmill is equipped with Wi-Fi, and is able to communicate your stats to your ViaFit.com profile. In addition, with your personal ViaFit account you can define fitness goals like number of workouts, calories burned, amount of time exercising, or total distance. ViaFit also allows you to import fitness and nutritional stats from other popular apps, giving you a central resource to track data from numerous sources. Studies have shown that those individuals that track their progress are more likely to achieve their fitness goals. In fact, tracking software, particularly on smartphones, is becoming more and more popular as people look for ways to motivate themselves. It is the ability to converge all your fitness, health and nutritional data into one source that makes ViaFit appealing. Horizon is the only company that offers this unique feature. Best of all, this system is free and does not require a monthly subscription of any kind like similar programs from some of the competitors. Passport – Obviously, exercising in place can get very boring. That is why so many people watch TV as they workout, but with Passport you can use videos to simulate running outdoors. Whether you prefer running along city streets or a beautiful park, the choice is at your fingertips. The speed and incline of the treadmill automatically adjust to match the video as you make your progress. If you purchase the optional box and cables you can display the video on your television for a more immersive experience. For those that want a heavy duty running machine, the Horizon Elite T9-02 has the components and the engineering to handle the abuse. The Elite T9-02 integrated system will offer you a rewarding workout that is also forgiving to your joints. If you need motivation and distraction, the ViaFit and Passport features complete the package. Horizon is known for offering quality machines at a valued price. With these added technological features, the Horizon Elite T9-02 treadmill is one of the most appealing treadmills at the $2,000 price range. You may also want to check out the Horizon Elite T5 or the Horizon Elite T7-02 for $400 in savings. Visit the manufacturer to learn more at HorizonFitness.com.